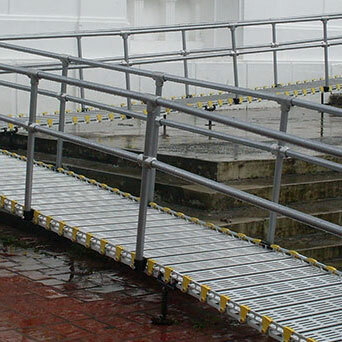 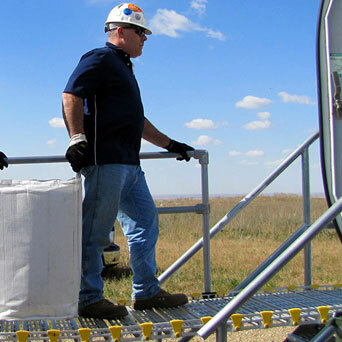 By adding extra ramp links you can increase the length of your Roll-A-Ramp® at any time. 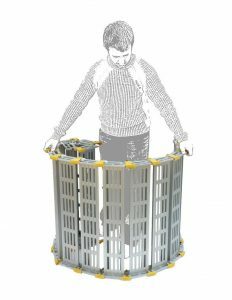 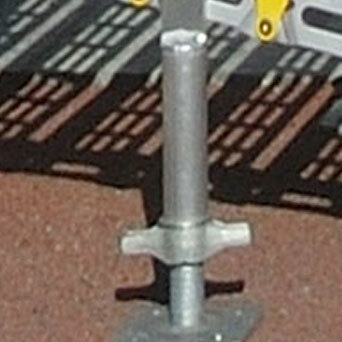 Just remove the ramp’s bottom end piece (lower approach plate) and bolt on the extra links. 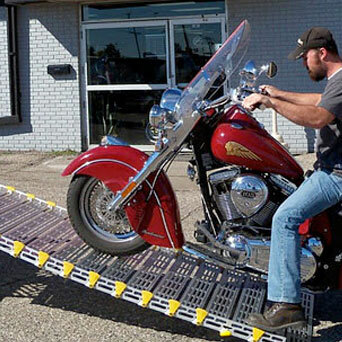 Order as many 1′ links as you need. 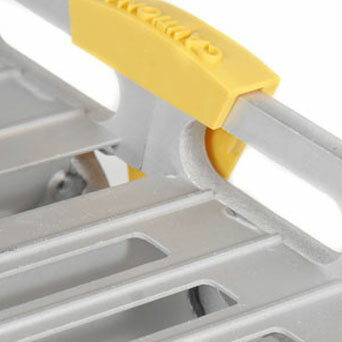 Tools and installation instructions included. 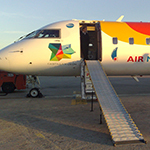 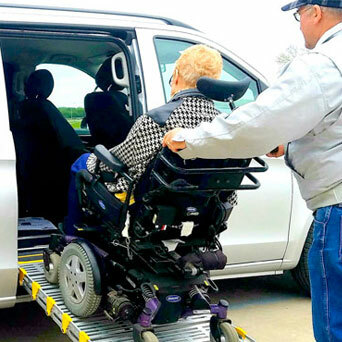 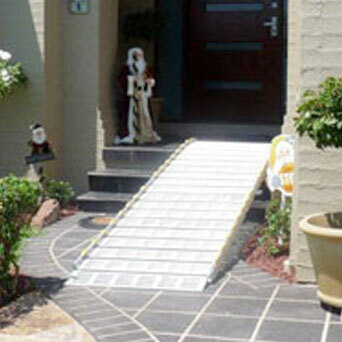 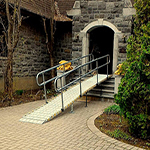 Your ramp never becomes obsolete and changes with your needs. 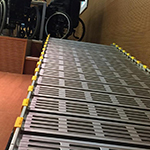 *Use with Quick Release Pins to easily split your Roll-A-Ramp making it even lighter and easier to handle, set up, and store. 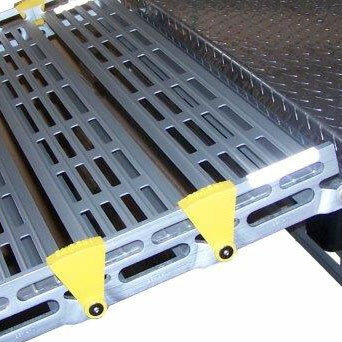 Pins allow you to separate the ramp at any point. 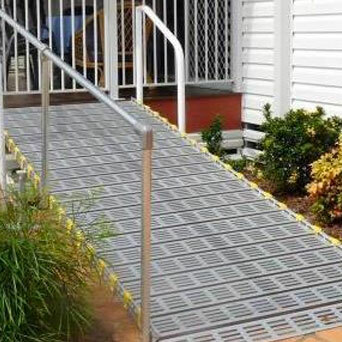 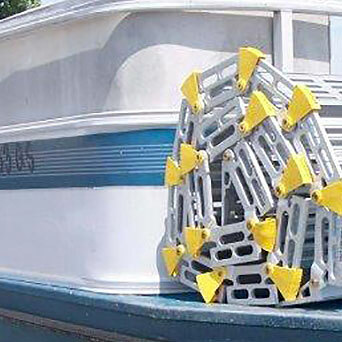 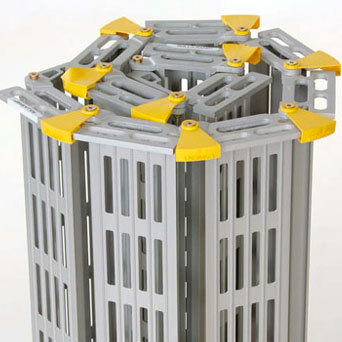 Pins also allow you to make a complete shorter ramp from the separated section; just purchase an extra Approach Plate and attach to the end of the section. 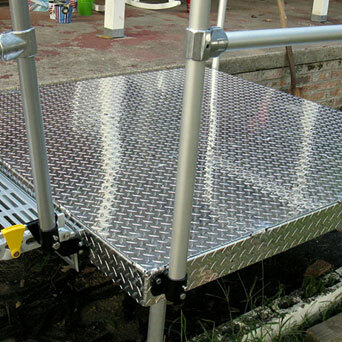 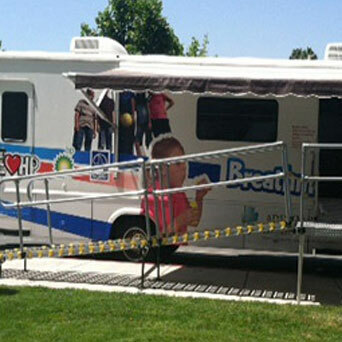 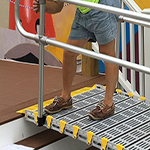 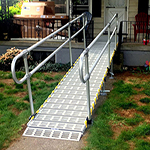 This makes your Roll-A-Ramp® multiple ramps in one! 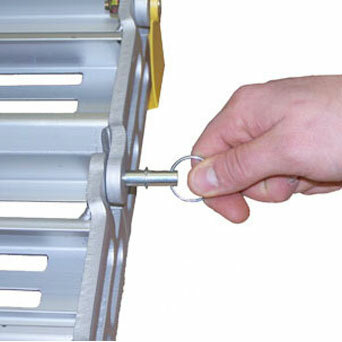 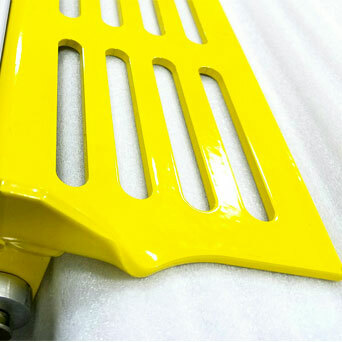 When you return home, simply remove the extra Approach Plate and pin the section back on.